Al Habtoor Group was established in the year 1970 in the Dubai, United Arab Emirates, The real estate group, managed by Chairman Khalaf Ahmad Al Habtoor, continued to grow and expand in business. 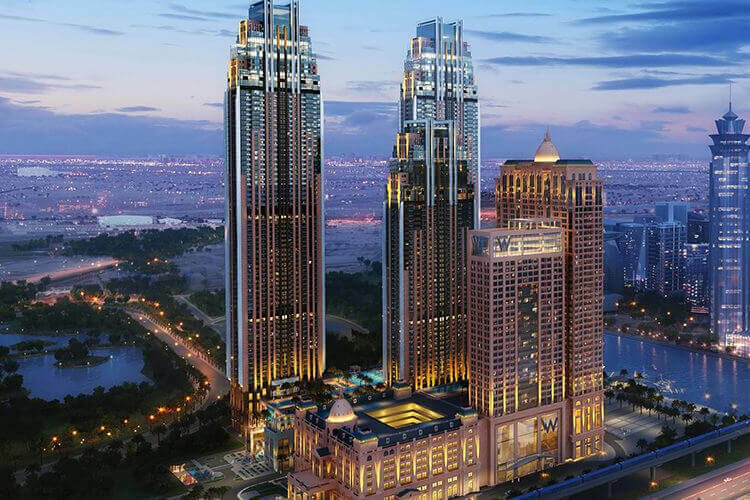 It has developed lot of projects in Dubai including Al Habtoor City located in Sheikh Zayed Road, which is a high standard residential area complete with world-class amenities. The company has been known to be one of the most respected and popular companies in UAE having highly-qualified and experienced professional employees. Al Habtoor Group delivers a total package of value and honesty, with emphasis on tenant care and thorough understanding of client needs. With over three decades of experience in the real estate sector, Al Habtoor Group has developed a good portfolio in the industry. The group has provided strong returns to the shareholders, with its professionalism approach that enabled to develop long-term and mutually-beneficial relationships with its clients. The company holds on to its vision of performing to the highest standards of ethical and professional behavior and mission of providing world class services.